In memory of beloved Mexican screenwriter, actor, comedian, film director, television director, playwright, songwriter, and author Roberto Gómez Bolaños aka Chespirito. He will live forever in our hearts through the iconic characters he created and portrayed: El Chavo del Ocho, El Chapulin Colorado, La Chilindrina, Kiko. Chespirito died Nov 28, 2014 of heart failure in Cancún, Quintana Roo, he was 85 years old. 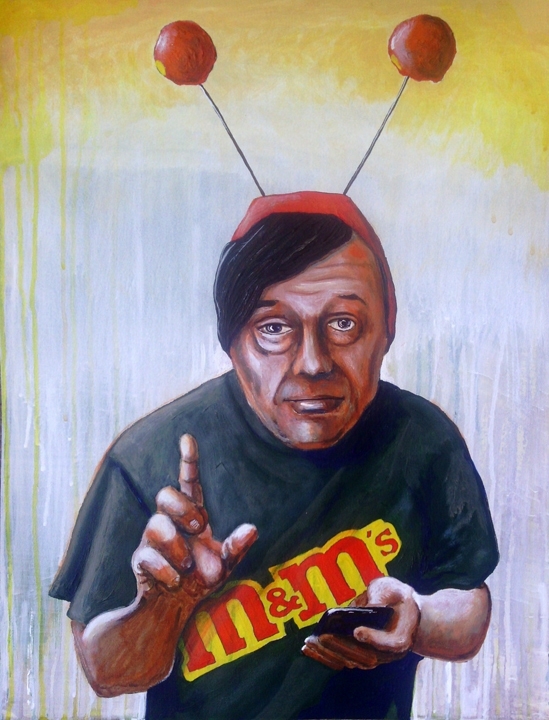 I was inspired by Chespirito and his characters, you can see my paintings in my Chespirito page ( http://gabrielnavar.com/chespirito.htm ) of my website.